[S114] Vernae Sevestre, Social Security Death Index, Master File, www.ancestry.com (Orem, UT: Ancestry, Inc., 1999), 513-16-5159. Hereinafter cited as SSDI. Emma Davidson was raised in a family of five daughters. Hannah Kathryn Davidson went by the name of Kate.1 She was raised in a family of five daughters. [S4] First-hand knowledge and recollections of Leta Robbins Phillips (Cambridge Springs, PA), by Kipp Melat. Personal Files (Fairfax, Virginia), newpaper clipping from unknown newspaper of obituary of John B. Thompson. Frances Davidson was raised in a family of five daughters. 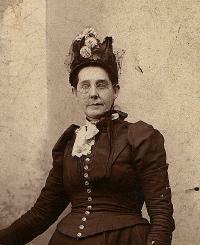 Nettie Maria Davidson was raised in a family of five daughters. The name of Edward's first wife is unknown. [S96] Gravestone, Edward Roberts, Rockland Cemetery, Rockland Tp., Venango Co., PA; read by Kipp Melat. [S120] J.H. Newton, editor, History of Venango County, Pennsylvania and Incidentally of Petroleum (Columbus, OH: J.A. Caldwell, 1879), p. 638 (biographical sketch of Edward Roberts). Hereinafter cited as 1879 Venango Co. History. [S285] Marriage License, Edward Robert and Mary Lloyd-Jones, General Register Office, London, England. Hereinafter cited as Marriage License. [S492] Edward Roberts entry; Jane Passenger List, 26 May 1851; in Immigrant and Passenger Arrivals Arriving at New York 1820-1897 (n.p. : n.pub. ), #280. [S347] First-hand knowledge and personal recollections of Mary Sanford (Kennerdell, PA), as told to Kipp Melat. Notes in Personal Files (Fairfax, Virginia). [S493] Edward Roberts entry, Venango County Naturalizations, 1:179, Registrar & Recorder's Office, Courthouse, Franklin, Venango County, Pennsylvania. Hereinafter cited as Venango Co. Naturalizations. [S143] Venango County Deeds, O:79, Registrar & Recorder's Office, Courthouse, Franklin, Venango County, Pennsylvania. Hereinafter cited as Venango County Deeds. [S143] Venango County Deeds, U:626, Registrar & Recorder's Office, Courthouse, Franklin, Venango County, Pennsylvania. Hereinafter cited as Venango County Deeds. [S121] Edward Roberts entry, 1852 Venango County tax records, Rockland Tp. ; Assessment Office, Courthouse, Franklin, Venango County, Pennsylvania. Hereinafter cited as Venango County tax records. [S348] Letter from Flossie Sanford Coda (deceased) to Kipp Melat, undated; Personal Files (Fairfax, Virginia). [S154] 6:174 will, Venango County Will, Registrar & Recorder's Office, Courthouse, Franklin, Venango County, Pennsylvania. , Registrar & Recorder's Office, Courthouse, Franklin, Venango County, Pennsylvania. Hereinafter cited as Venango County Deeds. [S345] John Roberts, Death Certificate 19317 (14 Feb. 1917), (informant: J.E. Roberts), Pennsylvania Dept. of Health, Division of Vital Records, New Castle, PA.
[S96] Gravestone, Joseph Roberts, Rockland Cemetery, Rockland Tp., Venango Co., PA; read by Kipp Melat. [S346] Edward Roberts family, The Holy Bible (n.p. : n.pub., unknown publish date); Mary Sanford, unknown location. Hereinafter cited as The Holy Bible. [S96] Gravestone, Thomas Roberts, Rockland Cemetery, Rockland Tp., Venango Co., PA; read by Kipp Melat. [S96] Gravestone, Elizabeth L. Roberts, Rockland Cemetery, Rockland Tp., Venango Co., PA; read by Kipp Melat. [S96] Gravestone, Emma Roberts, Rockland Cemetery, Rockland Tp., Venango Co., PA; read by Kipp Melat. [S96] Gravestone, David L. Roberts, Rockland Cemetery, Rockland Tp., Venango Co., PA; read by Kipp Melat. [S96] Gravestone, Mary Roberts, Rockland Cemetery, Rockland Tp., Venango Co., PA; read by Kipp Melat. [S10] Venango County (PA) Marriage License, Emma Rose Eisenman and Charles Louis Hoffman, Registrar & Recorder's Office, Courthouse, Franklin, Venango County, Pennsylvania. [S433] 1920 U.S. Census, Pennsylvania, Venango Co., Cornplanter Tp., Charlton St., Emma Hoffman household, National Archives, (Emma R. Hoffman, 46, wd, PA; Charles H., 23, PA/NY/PA, barber; Catherine E., 22, PA/NY/PA, stenographer; Ferdinand M., 19, PA/NY/PA). [S8] Catherine E. Smith obituary, The Oil City Derrick, Oil City, PA, 3 Feb. 1984, Oil City Library, Oil City, Venango County, Pennsylvania. Hereinafter cited as The Derrick. [S8] Ferdinand Miles Hoffman obituary, The Oil City Derrick, Oil City, PA, (unknown date) Feb. 1923, Oil City Library, Oil City, Venango County, Pennsylvania. Hereinafter cited as The Derrick. [S8] Obituary of Charles W. Hoffman, The Oil City Derrick, Oil City, PA, (unknown date) 1917, Oil City Library, Oil City, Venango County, Pennsylvania. Hereinafter cited as The Derrick. 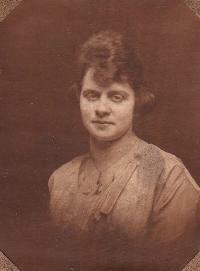 [S8] Emma R. Hoffman obituary, The Oil City Derrick, Oil City, PA, (unknown date) Apr. 1950, Oil City Library, Oil City, Venango County, Pennsylvania. Hereinafter cited as The Derrick. [S8] Charles W. Hoffman obituary, The Oil City Derrick, Oil City, PA, 26 Feb. 1991, Oil City Library, Oil City, Venango County, Pennsylvania. Hereinafter cited as The Derrick. [S10] Venango County (PA) Marriage License, William Kingsley Ray and Louise Hoffman, Registrar & Recorder's Office, Courthouse, Franklin, Venango County, Pennsylvania. [S8] William K. Ray obituary, The Oil City Derrick, Oil City, PA, 19 May 1933, Oil City Library, Oil City, Venango County, Pennsylvania. Hereinafter cited as The Derrick. [S65] Gravestone, Louise Ray, Grove Hill Cemetery, Oil City, Venango Co., PA; read by Kipp Melat. [S8] William A. Ray obituary, The Oil City Derrick, Oil City, PA, 1 Oct. 1990, Oil City Library, Oil City, Venango County, Pennsylvania. Hereinafter cited as The Derrick. [S8] Emma Louise Knox obituary, The Oil City Derrick, Oil City, PA, 21 Sep. 1994, Oil City Library, Oil City, Venango County, Pennsylvania. Hereinafter cited as The Derrick. [S8] Hazel Busch obituary, The Oil City Derrick, Oil City, PA, (unknown date) July 1982, Oil City Library, Oil City, Venango County, Pennsylvania. Hereinafter cited as The Derrick. [S8] Catherine F. Cross obituary, The Oil City Derrick, Oil City, PA, 19 Jun 2001, Oil City Library, Oil City, Venango County, Pennsylvania. Hereinafter cited as The Derrick. [S769] First-hand knowledge and personal recollections of Emma Ray McFarland Knox (Seneca, PA), as told to Kipp Melat, 1979 telephone conversation. [S973] World War I Draft Registration Cards, 1917-1918 [database on-line]; Registration Location: Venango County, Pennsylvania; Roll: 1926742; Draft Board: 2, viewed at Ancestry.com (www.ancestry.com). 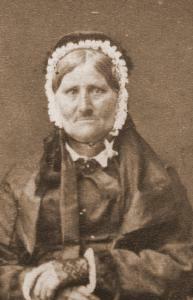 [S1273] New York Marriages, 1686-1980 for Margareth Moelter, viewed at FamilySearch (familysearch.org). [S8] Margaret E. Hoffman obituary, The Oil City Derrick, Oil City, PA, 16 Mar 1908, Oil City Library, Oil City, Venango County, Pennsylvania. Hereinafter cited as The Derrick. [S8] William Hoffman obituary, The Oil City Derrick, Oil City, PA, (unknown date) April 1939, Oil City Library, Oil City, Venango County, Pennsylvania. Hereinafter cited as The Derrick. [S8] Dorothy Wilson obituary, The Oil City Derrick, Oil City, PA, (unknown date) June 1973, Oil City Library, Oil City, Venango County, Pennsylvania. Hereinafter cited as The Derrick. [S8] Edna Hoffman obituary, The Oil City Derrick, Oil City, PA, 7 Jan. 1947, Oil City Library, Oil City, Venango County, Pennsylvania. Hereinafter cited as The Derrick. [S973] U.S., Evangelical Lutheran Church in America Church Records, 1826-1969 [database on-line]. Good Hope Lutheran Church, Oil City, Venango Co., PA Burials: Louis Hoffman, viewed at Ancestry.com (www.ancestry.com, accessed 24 Sep 2018). 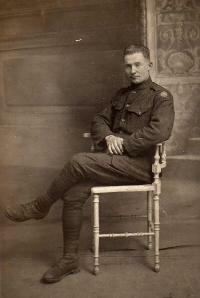 d. 14 Oct 1892, aged 8y, 5m, 20d, Oil City, mumps (birth date calculated as circa 24 Apr 1884). [S65] Gravestone, Louis A. Hoffman, Grove Hill Cemetery, Oil City, Venango Co., PA; read by Kipp Melat, (1884-1892). [S973] U.S., Evangelical Lutheran Church in America Church Records, 1826-1969 [database on-line]. Good Hope Lutheran Church, Oil City, Venango Co., PA Burials: Louis Hoffman, viewed at Ancestry.com (www.ancestry.com, accessed 24 Sep 2018). d. 14 Oct 1892, aged 8y, 5m, 20d, Oil City, mumps. Ida Fredericka Bird and Arthur Edgar Bird lived in 106 Maple Avenue, Oil City.5 She was a graduate of Welch's Business School and employed as a secretary for Brundred Oil Company for 42 years.1,6 She and Arthur Edgar Bird were members of the Presbyterian church.5 She and Arthur Edgar Bird had no children. [S8] Arthur E. Bird obituary, The Oil City Derrick, Oil City, PA, 8 Dec 1969, Oil City Library, Oil City, Venango County, Pennsylvania. Hereinafter cited as The Derrick. [S433] 1920 U.S. Census, Pennsylvania, Venango Co., Oil City, 3rd Ward, Charlton St., Catherine Hoffman household, National Archives, (Catherine Hoffman, 68, NY/Ger/Ger; Ida F., 38, single, PA/NY/NY, stenographer/Brundred Oil Co.; Charles Spies, 20, NY/NY/NY, laborer/barrel works). Arthur Edgar Bird and Ida Fredericka Bird lived in 106 Maple Avenue, Oil City.2 He was a letter carrier for the U.S. Postal Service for 31 years in Oil City.2 He and Ida Fredericka Bird were members of the Presbyterian church.2 He and Ida Fredericka Hoffman had no children. [S973] U.S., Evangelical Lutheran Church in America Church Records, 1826-1969 [database on-line]. Good Hope Lutheran Church, Oil City, Venango Co., PA Burials: Carrie Cath. Hoffman, viewed at Ancestry.com (www.ancestry.com, accessed 24 Sep 2018). 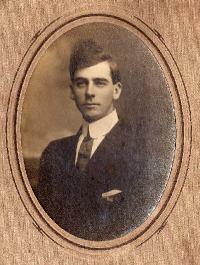 d. 19 Nov 1892, aged 1y, 7m, 5d, Oil City, mumps (birth date calculated as circa 14 Apr 1891). [S65] Gravestone, Caroline C. Hoffman, Grove Hill Cemetery, Oil City, Venango Co., PA; read by Kipp Melat, (1891-1892). [S287] 1870 Census, New York, Erie Co., Buffalo, Sixth Ward, Catherine Spies household, National Archives, (youngest daughter Caroline was born in 1866). [S971] St. Peters German Evangelical Church Records, Buffalo NY 1847-1854, online http://freepages.genealogy.rootsweb.com/~jillaine/stpeters/, Marriage Record, Heinrich Speiss and Barbara Wichenhaussen, 3 Aug 1851. [S1273] New York Marriages, 1686-1980 for Barbara Spies (daughter of Henry and Barbara Spies, shows mother's maiden name as Wickenauser), viewed at FamilySearch (familysearch.org). [S1484] Death Notice of Henry Spies, Buffalo Daily Courier (Buffalo, New York), Thu, 7 Sep 1865, p. 3 and Fri, 8 Sep 1865, p. 3, viewed at Newspapers.com (www.newspapers.com, accessed 21 Oct 2017). [S970] Buffalo, New York 1869 City Directory, online http://distantcousin.com/Directories/NY/Buffalo/1869/, p. 461 (Mrs. Barbara Spies entry). [S286] 1860 Census, New York, Erie Co., Buffalo, 6th Ward, Henry Spies household, National Archives, (Henry Spies, 35, Baden, baker, real estate $300, personal estate $1000; Barbara, 34, Baden; Catherine, 10, NY; Christina, 7, NY; Louisa, 4, NY; Barbara, 3; Henry, 1 6/12, NY). [S153] 1900 U.S. Census, New York, New York City, Manhattan, Barbara Spies household, National Archives, (Barbara Spies, May 1827, Ger/Ger/Ger, wd, 8child/6lvg, imm 1825, years in US 45 [sic]). 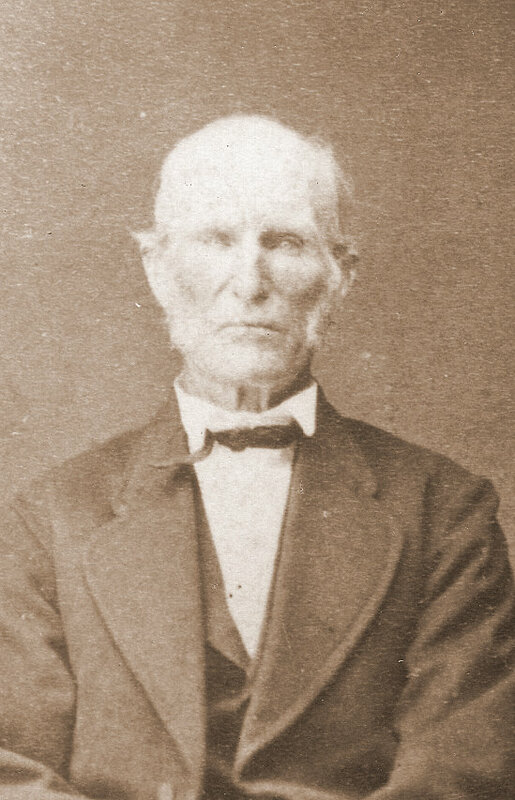 [S1505] 1855 New York State Census, New York, Erie Co., Buffalo, Ward 6, Henry Spichs household, familysearch.org, (Henry Spichs, 31, Baden, Baker, resident 4 yrs, alien; Barbara, 28, wife, Baden, residentr 4 yrs, alien; Catrharina, 3, dau, Erie Co.; Christina, 1, dau, Erie Co.). [S1503] 1865 New York State Census, New York, Erie Co., Buffalo, 6th Ward, Hein Spies household, Ancestry.com, (Hein Spies, 47, b. Germania, md6y, married once, baker, naturalized, owner of land, frame dwelling; Babara, 37, wife, b. Germania, md6y, married once, naturalized; Cartherine, 14, child, b. Erie Co.; Louisa, 9, child, b Erie Co.; Babara, 8, child, b. Erie Co.; Hein, 6, child, b. Erie Co.; Charley, 1 1/12, child, b. Erie Co.; Susanna, 4, child, b. Erie Co.). [S286] 1860 Census, New York, Buffalo, 6th Ward, Henry Spies household, National Archives. [S153] 1900 U.S. Census, New York, New York City, Bronx, 834 E. 138th St., Barbara Boehin household, National Archives, (records birthdate as Aug. 1860). [S1273] New York, New York City Municipal Deaths, 1795-1949, database. Louisa Cresent Spies, viewed at FamilySearch (familysearch.org, accessed 10 Apr 2019), b. c. 1856, Buffalo, NY; father: Henry Spies, Germany; mother: Barbara Drickenhesser, Germany; d. 4 Jul 1911, Bronx, NYC, age 55; buried Lutheran Cem. [S153] 1900 U.S. Census, New York, New York City, Bronx, 834 E. 138th St., Barbara Boehin household, National Archives. [S153] 1900 U.S. Census, New York, New York City, Manhattan, 434 E. Houston St., Henry M. Spies household, National Archives. [S287] 1870 Census, New York, Buffalo, 6th Ward, Barbara Spies household, National Archives. [S153] 1900 U.S. Census, New York, New York City, Manhattan, 434 E. Houston St., Charles Spies household, National Archives. [S153] 1900 U.S. Census, New York, New York City, Bronx, 834 E. 138th St., Barbara Boehin household, National Archives, (birthdate recorded as Apr. 1870). [S153] 1900 U.S. Census, New York, New York City, Manhattan, Barbara Spies household, National Archives. [S1273] New York Marriages, 1686-1980 for Barbara Spies, viewed at FamilySearch (familysearch.org). [S1273] New York, New York City Municipal Deaths, 1795-1949, database. 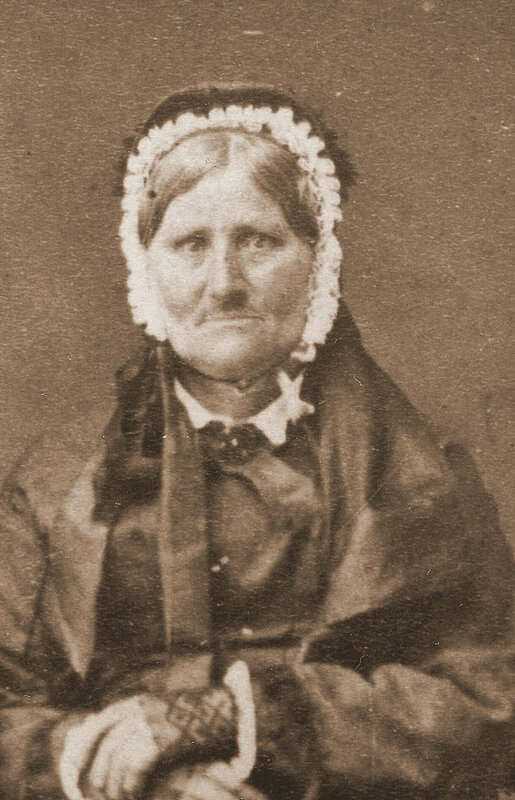 Caroline Spies, viewed at FamilySearch (familysearch.org, accessed 10 Apr 2019), b. 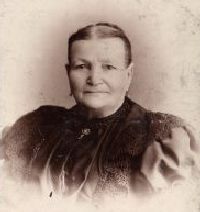 19 Apr 1869, US; father: Henry Spies, Germany; mother: Barbara Richenhisser, Germany; d. 1 May 1913, Bronx, NYC; buried Lutheran Cem. [S153] 1900 U.S. Census, New York, New York City, Manhattan, Catherine Spies household, National Archives. [S287] 1870 Census, New York, Erie Co., Buffalo, 6th Ward, Barbara Spies household, National Archives, (Barbara Spies, 43, Baden, keeping store, real estate $400, personal estate $4000; Henry 11; Susanna 9; Catherine, 19; Charles, 6; Caroline, 4). [S153] 1900 U.S. Census, New York, New York City, Manhattan, Houston St., Barbara Spies household, National Archives, (Barbara Spies, May 1827, Ger/Ger/Ger, wd, 8child/6lvg, imm 1825, years in US 45 [sic]; 4 boarders). [S971] St. Peters German Evangelical Church Records, Buffalo NY 1847-1854, online http://freepages.genealogy.rootsweb.com/~jillaine/stpeters/, Baptismal record of Christine Spies. [S155] 1860 U.S. Census, Pennsylvania, Venango Co., Jackson Tp., Jacob Sanner household, National Archives. [S148] Venango County Orphan's Court, Francis Beatty estate papers, Registrar & Recorder's Office, Courthouse, Franklin, Venango County, Pennsylvania, (Gilbert still living in March 1864). Hereinafter cited as Venango Co. Orphan's Court. [S137] 1850 U.S. Census, Pennsylvania, Venango Co., Canal Tp., J. Sanner household, National Archives. [S148] Venango County Orphan's Court, Francis Beatty estate papers, Registrar & Recorder's Office, Courthouse, Franklin, Venango County, Pennsylvania. Hereinafter cited as Venango Co. Orphan's Court. [S143] Venango County Deeds, vol. HH, pp. 1 and 2, Registrar & Recorder's Office, Courthouse, Franklin, Venango County, Pennsylvania. Hereinafter cited as Venango County Deeds. [S121] Guilbert Siner entry, 1865 Venango County tax records, Jackson Tp. ; Assessment Office, Courthouse, Franklin, Venango County, Pennsylvania. Hereinafter cited as Venango County tax records. [S289] Nancie McMillen, Death Certificate 56764 (3 May 1920), (informant: W. C. McMillen (husband)), Pennsylvania Dept. of Health, Division of Vital Records, New Castle, PA.
[S143] Venango County Deeds, DB N:395 (quit-claim deed for Francis Beatty estate), Registrar & Recorder's Office, Courthouse, Franklin, Venango County, Pennsylvania. Hereinafter cited as Venango County Deeds. [S143] Venango County Deeds, DB N:395, Registrar & Recorder's Office, Courthouse, Franklin, Venango County, Pennsylvania. Hereinafter cited as Venango County Deeds. [S152] 1900 U.S. Census, Pennsylvania, Clarion Co., Clarion Tp., William C. McMillen household, National Archives, (states they were married 26 years). [S291] Obituary of Mrs. W. C. McMillen, Clarion Republican, Clarion, PA, 6 May 1920. Hereinafter cited as Clarion Republican. [S155] 1860 U.S. Census, Pennsylvania, Venango Co., Canal Tp., John Bouchner household, National Archives. [S151] 1880 U.S. Census, Pennsylvania, Clarion Co., Millcreek Tp., William C. McMillen household, National Archives, (William C. McMillen, 40, PA/PA/PA, farmer; Nancy, 42, PA/PA/PA; George, 17, PA/PA/PA, step-son, works on farm; George, 11, PA/PA/PA, son; John T., 10, PA/PA/PA, son; William, 6, PA/PA/PA, son; Robert M., 6/12, PA/PA/PA, son). [S152] 1900 U.S. Census, Pennsylvania, Clarion Co., Clarion Tp., Carson McMillen household, National Archives, (Carson McMillen, Mar 1844, PA/PA/PA, md26y, lumberman; Nancy, Aug 1837, PA/PA/PA, 5child/3lvg; Miles, Jan 1880, PA/PA/PA, teamster; Ida M. George, Feb 1881, PA/PA/PA, single, servant). [S207] 1910 U.S. Census, Pennsylvania, Jefferson Co., Corsica Boro, Olean Rd., William C. McMillen household, National Archives, (William C. McMillen, 66, m36y; Nancy A., 72, 5child/3lvg). [S433] 1920 U.S. Census, Pennsylvania, Clarion Co., Clarion Boro, 2nd Ave.., W. C. McMillen household, National Archives, (W. C. McMillen, 75, PA/PA/PA, own home; Nancy, 82, PA/PA/PA). [S207] 1910 U.S. Census, Pennsylvania, Jefferson Co., Corsica Boro, William C. McMillen household, National Archives, (William C. McMillen, 66, m36y; Nancy A., 72, 5child/3lvg). [S152] 1900 U.S. Census, Pennsylvania, Clarion Co., Clarion Tp., Carson McMillen Jr. household, National Archives. [S152] 1900 U.S. Census, Pennsylvania, Clarion Co., Clarion Tp., Carson McMillen household, National Archives. [S151] 1880 U.S. Census, Pennsylvania, Clarion Co., Millcreek Tp., William C. McMillen household, National Archives. 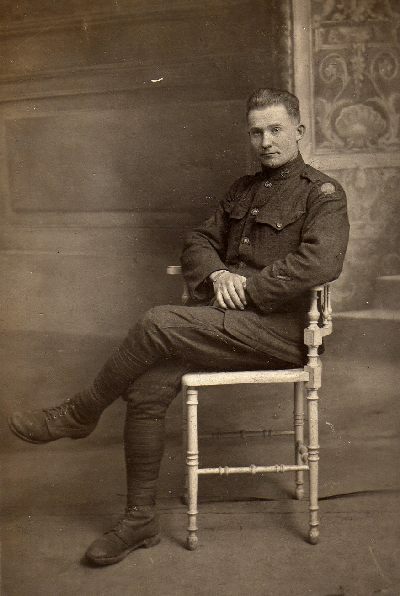 Roy Gilbert Sanner served in the U.S. Army during World War I. He and Estella Gilmore had no children. Estella Gilmore and Roy Gilbert Sanner had no children. [S772] First-hand knowledge and personal recollections of Edna Seigworth Wolfgong (deceased), as told to Kipp Melat, 1982. Notes in Personal Files (Fairfax, Virginia). [S8] Edna M. Wolfgong obituary, The Oil City Derrick, Oil City, PA, 29 Jan. 2004 (online), Oil City Library, Oil City, Venango County, Pennsylvania. Hereinafter cited as The Derrick. [S8] Arthur "Jake" Seigworth obituary, The Oil City Derrick, Oil City, PA, 18 Apr. 2000 (online), Oil City Library, Oil City, Venango County, Pennsylvania. Hereinafter cited as The Derrick. [S8] Obituary of Harvey Truman Seigworth, The Oil City Derrick, Oil City, PA, (undated clipping), Oil City Library, Oil City, Venango County, Pennsylvania. Hereinafter cited as The Derrick. [S776] First-hand knowledge and personal recollections of Sue Ellen Saltzmann Oxenham (Oil City, PA), as told to Kipp Melat, 1983. [S780] First-hand knowledge and personal recollections of Florence Saltzmann Sonne (Titusville, PA), as told to Kipp Melat, 1983. [S8] Robert C. Saltzmann obituary, The Oil City Derrick, Oil City, PA, 9 Jan. 1992, Oil City Library, Oil City, Venango County, Pennsylvania. Hereinafter cited as The Derrick. [S773] First-hand knowledge and personal recollections of Donald Saltzmann (Oil City, PA), as told to Kipp Melat, 1982. [S774] First-hand knowledge and personal recollections of Mary Jane (McGraw) Carter (deceased), as told to Kipp Melat, 1982. [S8] Margaret R. Wagner obituary, The Oil City Derrick, Oil City, PA, 28 Feb. 1994, Oil City Library, Oil City, Venango County, Pennsylvania. Hereinafter cited as The Derrick. [S8] Donald McGraw obituary, The Oil City Derrick, Oil City, PA, 10 Oct. 1998, Oil City Library, Oil City, Venango County, Pennsylvania. Hereinafter cited as The Derrick. [S8] Mary Jane Carter obituary, The Oil City Derrick, Oil City, PA, 3 Dec. 1982, Oil City Library, Oil City, Venango County, Pennsylvania. Hereinafter cited as The Derrick. [S8] Obituary of Margaret L. Sanner, The Oil City Derrick, Oil City, PA, (unknown date) 1993, Oil City Library, Oil City, Venango County, Pennsylvania. Hereinafter cited as The Derrick. [S775] First-hand knowledge and personal recollections of Betty Sanner George (Seneca, PA), as told to Kipp Melat, 1982. [S785] First-hand knowledge and personal recollections of Dorothy Sanner McCandless (Cranberrry, PA (deceased)), as told to Kipp Melat, 1983. [S8] John B. Sanner obituary, The Oil City Derrick, Oil City, PA, 9 Apr 1981, Oil City Library, Oil City, Venango County, Pennsylvania. Hereinafter cited as The Derrick. [S8] Dorothy Sanner McCandless obituary, The Oil City Derrick, Oil City, PA, 25 Mar. 1996, Oil City Library, Oil City, Venango County, Pennsylvania. Hereinafter cited as The Derrick. [S8] Howard F. Sanner obituary, The Oil City Derrick, Oil City, PA, 16 Apr. 1992, Oil City Library, Oil City, Venango County, Pennsylvania. Hereinafter cited as The Derrick. [S8] Raqymond L. Sanner obituary, The Oil City Derrick, Oil City, PA, 5 Jan. 1997, Oil City Library, Oil City, Venango County, Pennsylvania. Hereinafter cited as The Derrick. [S788] First-hand knowledge and personal recollections of Deborah Stranford Turcotte (Oil City, PA), as told to Kipp Melat, 1982. Notes in Personal Files (Fairfax, Virginia).